Indonesian student printing platform Cetaku today announced that it has raised an undisclosed seed funding round led by IDN Media. Cetaku is a desktop app that enables university students to upload and print their lecture notes and materials –for free. Students are allowed to upload between 25 to 160 pages in PDF format, then have it printed and sent to their address. The printed materials will come in colour and spiral binds. Cetaku monetises by partnering with businesses and allowing them to put ads on the students’ printed documents, like in printed magazines. Not only that this model makes it possible for students to print their notes for free, but it also enables businesses to reach out to their audiences more effectively. The platform plans to use the new funding to strengthen user acquisition, community engagement, talent acquisition and product development. In a press statement, Cetaku Founder and CEO Antonius Chandra said that the platform also plans to launch a student-ambassador-as-a-service (SAaaS) platform that will enable university students to get work experience as ambassadors for leading consumer brands in Indonesia. “We are committed to increase the livelihood and education [opportunities] for students in Indonesia,” he said. IDN Media is an Indonesian online media group that focuses on Millennials and Generation-Z as their core audience. Based in Surabaya and Jakarta, the company runs news portals that are targeted at various audiences, from women to food enthusiasts. It also runs a video production house, a digital agency, event agency, and content creator marketing agency. In November 2017, the company raised an undisclosed Series B funding round led by East Ventures and Central Exchange. 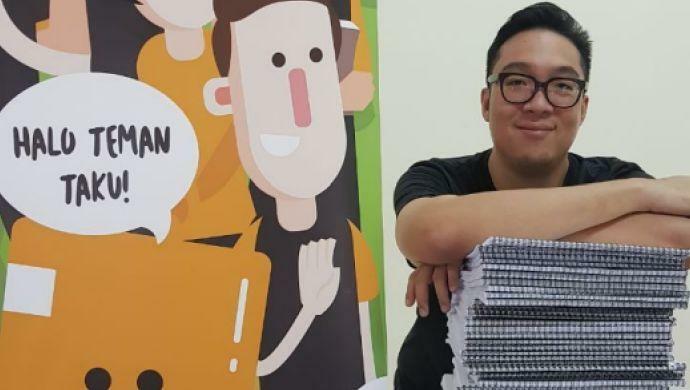 The post Indonesian student printing platform Cetaku raises seed funding round led by IDN Media appeared first on e27.